The conditions are great but the levels are not, the Taff has been holding its high level for weeks but it’s nice and clear and all you can do is fish the inside line in most pools with a fair bit of dodgy wading. Bit cold for swimming this time of year so much care is taken and with shore footing! I’ve been catching quite well and enjoying catching the small grayling in the shallower waters close to the banks but now and again you find a few fat pigs hiding in a hole 🙂 bloody Grayling are stuffed solid and I think a few that I have caught have been quite close to bursting haha food must be plenty in there! Good news for all! I’m quite impressed on the condition of the grayling this year and its great to see them in good numbers in all sizes once again! Like everything it has it’s ups and down but the Taff hasn’t really had a good grayling year for a few years. Tactics! I’ve been mostly working the inside of the fast runs due to the higher water levels, grayling like to just sit off the main flow darting in and out picking off food passing so less energy is used! Sp, target the slower water out of the main flow, this can prove deadly but don’t forget the fast water entirely. Everywhere is worth trying!. 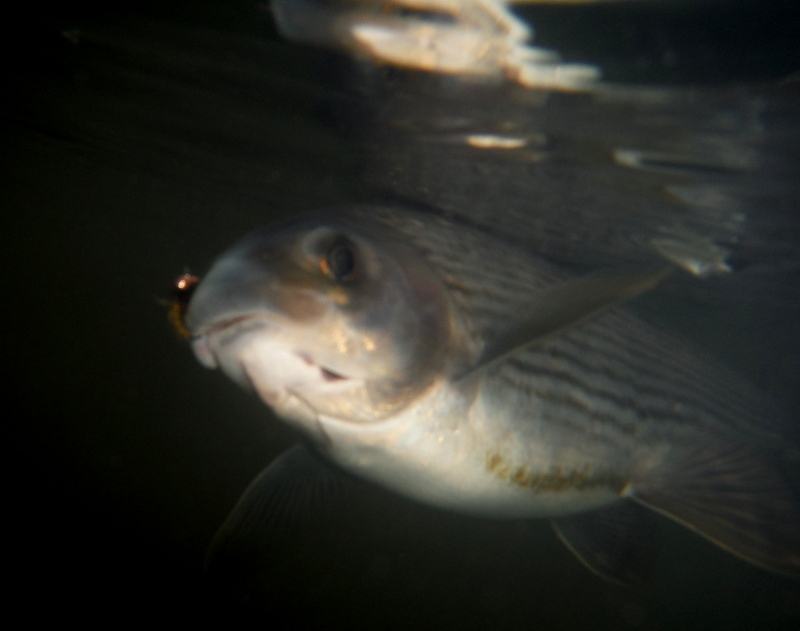 In the colder months of winter, grayling can be very picky on where they lay, they move around a lot. In the morning they can be right in the tails of pools and in the afternoon they can move right into the heads of the pool in a foot of water or less feeding hard. Some people can make the mistake of walking through this water and I have many of times thinking they are just not there, take the time to work the water’s and it will pay off in the end! This fish below was caught in a tail end of a deep pool using the French leader with the two nymph setup. Tippet 1.80kg stroft. length around 4 half feet from the indicator to the point fly. dropper tied on around 20″ above point fly! Nymphs… Point fly 3.5m hotspot hairs ear jig and on the dropper a 3m copper olive caddis pattern, this was the fly that fooled the grayling below! 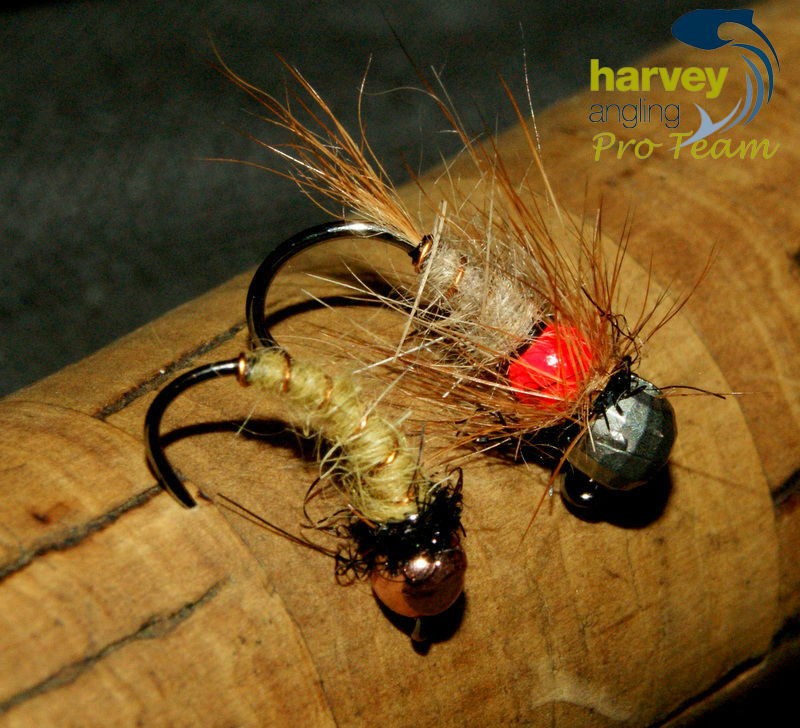 This entry was posted in Fishing Tackle, Fly Tying, Harvey Angling, River Taff, Stream fly fishing, Taff water level and tagged caddis patterns, fly fishing, french leader, grayling, Grayling photos, Harvey angling, Hotspot jigs patterns, Jig hooks, river taff, river Taff in flood, south wales, south wales fly fishing, Taff water level, Terry Bromwell on January 1, 2015 by fishstalker666.